Following on from my recent review of LDN’s debut show, I’ve decided to make a quick return to Sanjay Bagga’s company with a review of their latest DVD release, The Showdown II. We begin with the debuting Lucian, taking on “Superstar” Tony Sefton, one of the guys I was impressed with at the first Showdown show. Indeed, this was Sefton’s first appearance since that show. A bit of a mixed bag here. While Sefton again impressed, Lucian didn’t, which kind of dragged the bout down a little. But in all, not a bad opener with Sefton getting the win with a triple jump moonsault. Mixed tag action next, with Project Future and Skye against Jason Detroit, Sam Andrews and Nikita. Tons of action in this one, with Nikita again showing how much she’s improved recently. The end came after Detroit accidentally speared Nikita as she held one of the Project Future members on the ropes. The Futures and Skye then teamed up to take Detroit down with the triple 3-D.
Back to singles action, as Jamie James takes on Scott Daniels. Before the match begins, LDN Director of Authority Sanjay Bagga comes to the ring and insults the crowd, and promises a win for his man Daniels. Although James put in a good showing, the constant interference of Bagga proved to be a huge hindrance to him, and cost him the match. As James tried to suplex Daniels back into the ring, Bagga grabbed his leg and tripped him, and continued to hold the leg as Daniels got the winning pinfall. More singles action follows, as Chris Wyld, with Jag Singh Sidhu along for company, takes on the UK Kid, with the winner getting a title shot at LDN champion Martin Stone. Technical problems with the static camera meant that it was only the ringside camera used to film this match. Although I’d been impressed by Wyld on the other DVD, and I’d heard a great deal about the UK Kid, I was a little disappointed by this one. Although both wrestlers put in some good moves, it seemed somewhat sloppy at times, with things not being as fluent as they should be. Wyld won this one, preventing a UK Kid top rope attack and connecting with a crucifix DDT. Normal service with the static camera is resumed as we move on to tag-team action, as the new Team Sexay, Chris B-Way and G-Man take on Paul Robinson and Ashley Reed. Although I had been unimpressed with the old Team Sexay, this new version wasn’t much better, and it’s still clear that even though they won the match, pinning Robinsons after a sloppy looking double-team move, they still need a lot more work before they become the finished article. Then it’s time for our main event, as “Rowdy” Ricky Knight makes his LDN debut against former LDN champion Ashe. Despite literally beating the crap out of Ashe for over twenty minutes, no matter what Knight did he couldn’t put Ashe away, and indeed, it was the New Breed member who got the win, grabbing Knight in a Japanese stranglehold and bringing his knees up into his spine, getting the win with a three count alter. Afterwards, Knight called DOA Bagga into the ring to complain about the referee, and challenged Ashe to a match at a later date, a challenge that he was only to willing to accept. Then it’s on to the extras. Taken from A New Horizon, Chris Wyld takes on Majik in a good bout which sees Wyld get the win with a little help from the ropes. Then, a segment from the interval at The Showdown II, as Jamie James gets Sanjay Bagga to sign a contract for a street fight, before stuffing a cake into his face. Then it’s back to Leicester, and a segment involving James, Bagga and Scotty Daniels. Bagga proceeds to insult the locals before local hero James arrives, only to get attacked by Daniels. We then see the closing moments of their match, as Bagga takes a lesson from Vince McMahon and screws James out of a victory. Finally, it’s a three minute music video looking back at The Showdown II. In conclusion - my second taste of LDN action is once again a mixed bag. While I’ve made my points about Lucian and Team Sexay, I must also make mention of LDN owner Sanjay Bagga. While he’s done a lot to promote wrestling in the past couple of years, I’m not sure he’s really cut out for the heel owner role. It seems as if he’s trying a little too hard at times, especially when he’s working on the microphone. But then again, maybe given time, he’ll grow into the role. With thanks to Sanjay Bagga for providing a copy of this DVD. 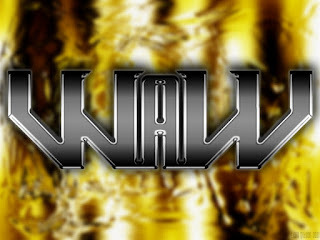 For more information on LDN, log onto www.ldnwrestling.com. To purchase a copy of this DVD, visit www.wrestlestuff.co.uk.